An enviable reputation providing outstanding workmanship. Abbey Drives only uses our own employed staff. Abbey Drives is a specialist in designing and installing pattern imprinted concrete (presscrete) solutions that are tailor made for your drive, patio, theme park or forecourt. 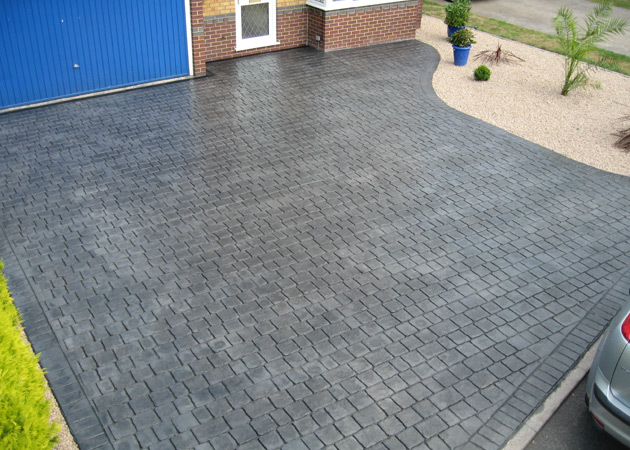 There is a vast range of exposed aggregates, colours, patterns, textured and acid stain finishes to select from enabling you to get the finish you are looking for. Abbey Drives has been operating as a family business for more than 22 years as a result of which we have built and maintained an enviable reputation for our outstanding workmanship. This, together with our first class customer service, has resulted in many existing customers returning to us on future occasions and also recommending us to family and friends. Copyright © 2018 by Abbey Driveways Derby. All Rights Reserved.